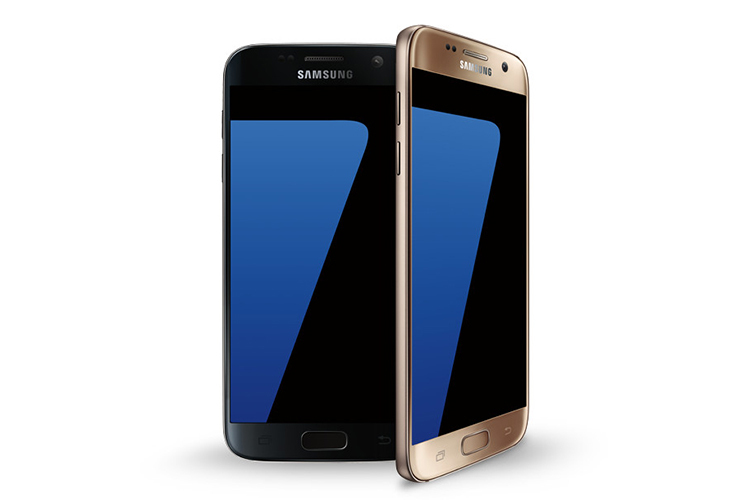 Samsung’s flagship Galaxy S series has taken two generation leaps but, Galaxy S7 is still a master performance, equipped with a great camera, a beautiful display, and boasts a stunning unibody glass and metal design. And now, with Flipkart’s Mobile Bonanza Sale which starts today, Galaxy S7 is available at the lowest price yet. Under its recent sale, Flipkart is offering a 50% discount on the Galaxy S7 along with additional benefits such as EMI at zero percent interest and other cashback offers. 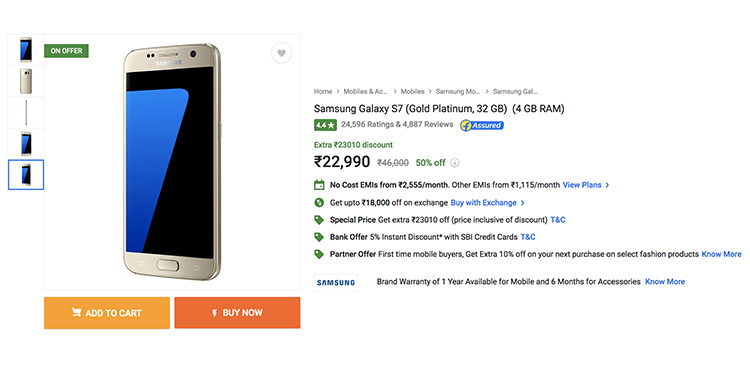 With this discount, the price of Galaxy S7 comes down to ₹22,990 (buy on Flipkart). You can avail an additional discount of up to ₹18,000 by exchanging your old phone, but we’d recommend you not to have a lot of expectations in terms of the exchange value offered. For instance, on 2016’s Pixel XL, you get only ₹12,000, while you might have to trade in an iPhone 7 Plus to get the maximum possible exchange bonus. Ordinarily we wouldn’t recommend such a two generations old phone, but Samsung has recently said that Android Oreo will be coming to Galaxy S7 and S7 Edge by the end of Q2. For SBI credit card users, there is an additional benefit of 5% (applicable on the discounted price). Moreover, you can order the smartphone and pay for it nine easy EMIs at only ₹2,555 per month without worrying about interest. Flipkart also offers a 10% discount voucher for future purchases to users buying on the mobile app for the first time. In terms of specs, the Samsung Galaxy S7 is powered by an octa-core Exynos 8890 chipset which is paired with 4GB of RAM. For storage, you get 32GB onboard memory which can be expanded up to 200GB using a microSD card. The S7 boasts of a 5.1-inch Quad HD (2K) Super AMOLED display which is super-bright and offers great details to contents on the screen. The Galaxy S7 bears a 12-megapixel snapper on the back that can shoot 4K videos and is complemented by a 5-megapixel front-facing shooter along with a selfie flash. To easily rake through a long day’s usage, you get a 3,000mAh battery which can be refilled easily, thanks to Fast Charging. The smartphone is rated IP68 for water and dust resistance while Samsung also pays attention to subtle additions such as a heart-rate sensor. So, what’s stopping you from buying one of the top performers Samsung has to offer and considering the hefty discount, the S7 is an irresistible deal. Buy the Samsung Galaxy S7 from Flipkart for ₹22,990.